My research focuses on how public policies affect the economic behavior and well-being of vulnerable populations, e.g., older persons, people with disabilities, and low-income households as well as how levels and trends in income and income inequality have changed in the USA and other countries. I have published widely on these topics in journals of demography, economics, gerontology, as well as public policy. Richard V. Burkhauser has ongoing research projects focusing on: 1) Factors accounting for changes in the economic well-being of the working-age population with disabilities; 2) The sensitivity of measures of income and income inequality to alternative specifications of income including accrued vs. realized capital gains; 3) Changes in income inequality in Australia, Great Britain, and the United States as part of a research team funded by the Australian Research Council (2015-2017. 1. Burkhauser, Richard V. and Mary C. Daly. The Declining Work and Welfare of People with Disabilities: What Went Wrong and a Strategy for Change. Washington, DC, American Enterprise Institute Press. 1. Burkhauser, Richard V. and Kenneth A. Couch. “Are the Inequality and Mobility Trends of the United States in the European Union’s Future?” InUnited in Diversity, Jens Alber and Neil Gilbert (eds.) Oxford University Press. (2010), pp. 280-307. 2. Burkhauser, Richard V. and Ludmila Rovba. “Institutional Responses to Structural Lag: The Changing Patterns of Work at Older Ages.” Sara J. Czaja and Joseph Sharit (eds.) Aging and Work. John Hopkins University Press: Baltimore, MD. (2009) pp. 9-34. 3. Burkhauser, Richard V. and Andrew J. Houtenville, "Employment Among Working-Age People with Disabilities: What Current Data Can Tell Us." In Edna Mora Szymanski and Randall M. Parker (eds. ), Work and Disability: Issues and Strategies for Career Development and Job Placement (3rd ed.) Austin, TX: Pro-Ed, Inc. Forthcoming. 4. Burkhauser, Richard V. and Kenneth A. Couch. “Are the Inequality and Mobility Trends of the United States in the European Union’s Future?” United in Diversity, Jens Alber and Neil Gilbert (eds.) Oxford University Press. (2009) pp. 280-307. 5. Burkhauser, Richard V., Ludmila Rovba, and Andrew J. Houtenville. “Poverty.” In Andrew J. Houtenville, David C. Stapleton, Robert R. Weathers II, and Richard V. Burkhauser (eds.) Counting Working-age People with Disabilities: What Current Data Tell Us and Options for Improvement. Kalamazoo, MI: W.E. UpJohn Institute for Employment Research, (2009), pp. 191-224. 6. Burkhauser, Richard V. “Deconstructing European Poverty Measures,” In Douglas Besharov and Kenneth Couch (eds. ), Counting the Poor: New Thinking About European Poverty Measures and Lessons for the U.S., Oxford University Press. 7. Burkhauser, Richard V., Andrew J. Houtenville, and Jennifer Tennant. “Measuring the Population with Disabilities for Policy Analysis.” Kenneth A. Couch, Mary C. Daly and Julie Zissimopoulos (eds. ), Unexpected Lifecycle Events and Economic Security: The Roles of Job Loss, Disability and Changing Family Structure. Stanford University Press. 8. Burkhauser, Richard V. and Andrew J. Houtenville, “Employment Among Working-Age People with Disabilities: What Current Data Can Tell Us.” In Work and Disability: Issues and Strategies for Career Development and Job Placement (3rd ed. ), Edna Mora Szymanski and Randall M. Parker (eds. ),Austin, TX: Pro-Ed, Inc. (2010), pp. 49-86. 9. Burkhauser, Richard V. “Deconstructing European Poverty Measures,” Douglas Besharov and Kenneth Couch (eds. ), Counting the Poor: New Thinking About European Poverty Measures and Lessons for the U.S., Oxford University Press. (2012), pp. 79-94. 10. Burkhauser, Richard V., Andrew J. Houtenville, and Jennifer Tennant. “Measuring the Population with Disabilities for Policy Analysis.” Kenneth A. Couch, Mary C. Daly and Julie Zissimopoulos (eds. ), Unexpected Lifecycle Events and Economic Security: The Roles of Job Loss, Disability and Changing Family Structure. Stanford University Press, 215-239. 11. Burkhauser, Richard V. and David C. Stapleton. “Disability,” in Encyclopedia of Career Development. Sage Publication Co.
13. Burkhauser, Richard V. and David C. Stapleton. “Disability.” In Jeffrey H. Greenhaus and Gerard A. Callahan (eds.) Encyclopedia of Career Development. Thousand Oaks, CA: Sage Publication Co. Vol. 1 (May 2006): pp. 233-236. 14. Burkhauser, Richard V. and Ludmila Rovba. “Institutional Responses to Structural Lag: The Changing Patterns of Work at Older Ages.” Sara J. Czaja and Joseph Sharit eds. The Future of Work for an Aging Population. John Hopkins University Press: Baltimore, MD. 15. Burkhauser, Richard V., Ludmila Rovba, and Robert Weathers II. “Household Income.” In Andrew J. Houtenville, David C. Stapleton, Robert R. Weathers II, and Richard V. Burkhauser (eds.) Counting Working-age People with Disabilities: What Current Data Tell Us and Options for Improvement. Kalamazoo, MI: W.E. UpJohn Institute for Employment Research. 16. Burkhauser, Richard V. “Job Retention,” in Encyclopedia of Disability. Sage Publishing Co.
17. Burkhauser, Richard V. and Ludmila Rovba. “Institutional Responses to Structural Lag: The Changing Patterns of Work at Older Ages.” Sara J. Czaja and Joseph Sharit eds. Aging and Work. John Hopkins University Press: Baltimore, MD. 18. Burkhauser, Richard V. and Kenneth A. Couch. “Intragenerational Inequality and Intertemporal Mobility.” Wiemer Salverda, Brian Nolan, and Timothy Smeeding (eds.) The Oxford Handbook of Income Inequality, Oxford University Press. 19. Burkhauser, Richard V., Ludmila Rovba, and Andrew J. Houtenville. “Poverty.” In Andrew J. Houtenville, David C. Stapleton, Robert R. Weathers II, and Richard V. Burkhauser (eds.) Counting Working-age People with Disabilities: What Current Data Tell Us and Options for Improvement. Kalamazoo, MI: W.E. UpJohn Institute for Employment Research. 20. Burkhauser, Richard V. and Kenneth A. Couch. “Are United States Inequality and Mobility Trends in the European Union’s Future?” European and American Social Models, Jens Alber and Neil Gilbert (eds.) Oxford University Press. 21. Burkhauser, Richard V., Ludmila Rovba, and Robert Weathers II. “Household Income.” In Andrew J. Houtenville, David C. Stapleton, Robert R. Weathers II, and Richard V. Burkhauser (eds.) Counting Working-age People with Disabilities: What Current Data Tell Us and Options for Improvement. Kalamazoo, MI: W.E. UpJohn Institute for Employment Research, (2009) pp. 143-190. 22. Burkhauser, Richard V. and Kenneth A. Couch. “Intragenerational Inequality and Intertemporal Mobility.” Wiemer Salverda, Brian Nolan, and Timothy Smeeding (eds.) The Oxford Handbook of Income Inequality, Oxford University Press, (2009) pp. 522-548. 23. Burkhauser, Richard V. “Comments on Nudged, Pushed or Mugged: Policies to Encourage.” Gary Burtless and Henry J. Aaron (eds. ), Closing the Deficit: How Much Can Later Retirement Help? Washington, DC: Brookings Institute Press: 93-99. 24. Burkhauser, Richard V., and Jeff Larrimore. “How Changes in Employment, Earnings, and Public Transfers Make the First Two Years of the Great Recession (2007-2009) Different from Previous Recessions and Why It Matters for Longer Term Trends.” John Logan (editor) U.S. 2010: America After the First Decade of the New Century. Russell Sage Foundation. 25. Burkhauser, Richard V., and Jeff Larrimore. “Median Income and Income Inequality: From 2000 and Beyond.” John Logan (ed. ), Diversity and Disparities: America Enters a New Century, Russell Sage Foundation, pp. 105-138. 26. Burkhauser, Richard V., Markus H. Hahn, Dean R. Lillard, and Roger Wilkins. 2016. “Does Income Inequality in Early Childhood Predict Self-Reported Health in Adulthood? A Cross-National Comparison of the United States and Great Britain” in Lorenzo Cappellari, Solomon W. Polachek, and Konstantinos Tatsiramos (eds.) Inequality: Causes and Consequences (Research in Labor Economics, Vol. 43) Emerald Group Publishing Limited: 407-476. 27. Burkhauser, Richard V. and Mary C. Daly. “Making Work a Priority for Working-Age People with Disabilities” in Michael Strain (ed.) The US Labor Market: Questions and Challenges for Public Policy. American Enterprise Institute Press, pp. 204-220. 28. Burkhauser, Richard V. and Mary C. Daly. “The Supplemental Security Income Disabled Children Program: Improving Employment Outcomes in Adulthood” in Robert Doer (ed.) A Safety Net That Works: Improving Federal Programs for Low-Income Americans. American Enterprise Institute Press. 29. Burkhauser, Richard V. and Mary C. Daly. “Lessons the United States Can Learn from other OECD Country Disability Policy Reforms” in Douglas J. Besharov and Douglas Call (eds.) Labor Activation in a Time of High Unemployment: Encouraging Work while Preserving the Social Safety. Oxford University Press. 30. Hauser, Richard, Richard V. Burkhauser, Kenneth A. Couch and Gulgun Bayaz-Ozturk “Wife or Frau, Women Still Do Worse: A Comparison of Men and Women in the United States and Germany after Union Dissolutions in the 1990s and 2000s.” December 2016. 1. Burkhauser, Richard V. “Creating an EU Flexicurity System: An American Perspective.” CESifo Dice Report, Journal of Institutional Comparisons, 6 (4) (2008): 36-40. 2. Burkhauser, Richard V., Takashi Oshio, and Ludmila Rovba. “Winners and Losers over the 1990s Business Cycles in Germany, Great Britain, Japan, and the United States.” Schmollers Jahrbuch: Journal of Applied Social Science Studies, 127 (1) (2007): 75-84. 3. Burkhauser, Richard V. and Jeff Larrimore. “Better Estimates of Income and its Distribution in the Public-Use March Current Population Survey.” 2008 Research Report: Center for Economic Studies and Research Data Centers, US Census Bureau, USGPO, Washington, DC. 1. Burkhauser, Richard V. and John Cawley. "Adding Biomeasures Relating to Fatness and Obesity to the Panel Study of Income Dynamics." Biodemography and Social Biology, 55: 2, 118 – 139. 2. Burkhauser, Richard V. “Deconstructing European Poverty Measures: What Relative and Absolute Scales Measure.” Journal of Policy Analysis and Management, 28 (4) (Fall, 2009): 715-724. 3. Burkhauser, Richard V. and Jeff Larrimore. “Trends in the Relative Household Income of Working-Age Men With Work Limitations: Correcting the Record Using Internal Current Population Survey Data.” Journal of Disability Policy Studies, 20 (3) (December 2009): 162-169. 4. Burkhauser, Richard V., Alan Gustman, John Laitner, Olivia Mitchell, and Amanda Sonnega, "Social Security Research at the Michigan Retirement Research Center." Social Security Bulletin 69, No. 4 (2009): 51-64. 5. Stapleton, David C., Richard V. Burkhauser, Peiyun She, Robert R. Weathers II, and Gina A. Livermore. “Income Security for Workers: A Stressed Support System in Need of Innovation.” Journal of Disability Policy Studies, 19, (4) (Spring 2009): 204-220. 6. Burkhauser, Richard V. “An American Perspective on the 2010 Increase in the Australian Minimum Wage.” Australian Bulletin of Labour, 36 (3) (September 2010): 335-340. 7. Sabia, Joseph J. and Richard V. Burkhauser. “Minimum Wages and Poverty: Will a $9.50 Federal Minimum Wage Really Help the Working Poor?” Southern Economic Journal, 76 (3) (January 2010): 592-623. Winner of the 2010 Georgescu-Roegen Prize for the best academic article published in the Southern Economic Journal. 10. Sabia, Joseph J., Richard V. Burkhauser, and Benjamin Hansen. “Are the Effects of Minimum Wage Increases Always Small? New Evidence from a Case Study of New York State.” Industrial and Labor Relations Review. 11. Burkhauser, Richard V., Jeff Larrimore and Kosali Simon. “A Second Opinion on the Economic Health of the American Middle Class and Why it Matters in Gauging the Impact of Government Policy.” National Tax Journal. 12. Burkhauser, Richard V. and Mary C. Daly. “ Social Security Disability Insurance: Time for Fundamental Change.” Journal of Policy Analysis and Management. 13. Armour, Philip, Richard V. Burkhauser, and Jeffrey Larrimore. “Deconstructing Income and Income Inequality Measures: A Cross-Walk from Market Income to Comprehensive Income.” American Economic Review, 103, (3) (May): 173-177. 14. Burkhauser, Richard V., Mary C. Daly, and Brian T. Lucking. “Is Australia One Recession Away from a Disability Blowout? Lessons from Other Organisation for Economic Co-operation and Development Countries.” Australian Economic Review, 46 (3): 357-368. 15. Burkhauser, Richard V., Mary C. Daly, Duncan McVicar, and Roger Wilkins. “Disability Benefit Growth and Disability Reform in the United States: Lessons from Other OECD Nations.” IZA Journal of Labor Policy. 16. Burkhauser, Richard V., and Jeff Larrimore. “The Top One Percent.” Journal of Economic Perspectives. 17. Burkhauser, Richard V., Shuaizhang Feng, and Jeff Larrimore. “Improving Imputations of Top Incomes in the Public-Use Current Population Survey by Using Both Cell-Means and Variances.” Economic Letters, 108 (2010) 69-72. 18. Burkhauser, Richard V., Shuaizhang Feng, Stephen Jenkins and Jeff Larrimore. “Recent Trends in Top Income Shares in the USA: Reconciling Estimates from March CPS and IRS Tax Return Data.” Review of Economics and Statistics, 94 (2) (May): 371-388. 19. Sabia, Joseph J., Richard V. Burkhauser, and Benjamin Hansen. “Are the Effects of Minimum Wage Increases Always Small? New Evidence from a Case Study of New York State.” Industrial and Labor Relations Review, 65 (2) (April): 350-376. 20. Burkhauser, Richard V., Maximilian Schmeiser, and Robert Weathers II. “The Importance of Anti-Discrimination and Workers’ Compensation Laws on the Provision of Workplace Accommodations Following the Onset of a Disability.” Industrial and Labor Relations Review, 65 (1) (January): 161-180. 21. Burkhauser, Richard V. and Mary C. Daly. “ Social Security Disability Insurance: Time for Fundamental Change.”Journal of Policy Analysis and Management, 31 (2): 454-461. 22. Burkhauser, Richard V., Jeff Larrimore and Kosali Simon. “A Second Opinion on the Economic Health of the American Middle Class and Why it Matters in Gauging the Impact of Government Policy.” National Tax Journal, 65 (March): 7-32. 23. Jenkins, Stephen P., Richard V. Burkhauser, Shuaizhang Feng, and Jeff Larrimore. “Measuring Inequality Using Censored Data: A Multiple Imputation Approach.” Journal of the Royal Statistical Society (A), 174, Part 1 (2011), 63-81. 24. Burkhauser, Richard V., Shuaizhang Feng, Stephen Jenkins, and Jeff Larrimore. “Trends in United States Income Inequality Using the Internal March Current Population Survey: The Importance of Controlling for Censoring.” Journal of Economic Inequality. 9 (3) (2011): 393-415. 26. Bayaz, Gulgun, Richard V. Burkhauser, and Kenneth A. Couch. “Trends in Intragenerational Income Mobility in the Western States of Germany and the United States (1984-2006).” Schmollers Jahrbuch: Journal of Applied Social Science Studies, 131 (2) (2011): 359-368. 27. Burkhauser, Richard V., Jeff Larrimore, and Kosali Simon. “Measuring the Impact of Valuing Health Insurance on Levels and Trends in Inequality and How the Affordable Care Act of 2010 Could Affect Them.” Contemporary Economic Policy (online September 2012). 28. Burkhauser, Richard V., Andrew J. Houtenville, and Jennifer Tennant. “Capturing the Elusive Working-Age Population with Disabilities: Reconciling Conflicting Social Success Estimates from the Current Population Survey and American Community Survey.” Journal of Disability Policy Studies (online June 2012). 29. Burkhauser, Richard V. and Joseph J. Sabia. “The Effectiveness of Minimum Wage Increases in Reducing Poverty: Past, Present and Future.” Contemporary Economic Policy, 25 (2) (April 2007): 262-281. 30. Burkhauser, Richard V., Takashi Oshio, and Ludmila Rovba. “How the Distribution of After-Tax Income Changed Over the 1990s Business Cycle: A Comparison of the United States, Great Britain, Germany, and Japan.” Journal of Income Distribution. (March, 2008). 31. Burkhauser, Richard V. and Dean Lillard. “The Expanded Cross-National Equivalent File: HILDA Joins its International Peers.” Australian Economic Review, 40 (2) (April 2007): 208-215. 32. Burkhauser, Richard V. and Kosali I. Simon. “Who Gets What from Employer Pay or Play Mandates?” Risk Management and Insurance Review. 33. Burkhauser, Richard V. and John Cawley. “Beyond BMI: The Value of More Accurate Measures of Fatness and Obesity in Social Science Research.” Journal of Health Economics. 34. Burkhauser, Richard V. and Mathis Schroeder. “A Method for Comparing the Economic Outcomes of the Working-Age Population with Disabilities in Germany and the United States.” Schmollers Jahrbuch: Journal of Applied Social Science Studies, 127 (2) (2007): 227-258. 35. Weathers, Robert R., Gerard Walter, Sara Schley, John Hennessey, Jeffrey Hemmeter and Richard V. Burkhauser. “How Postsecondary Education Improves Adult Outcomes for Supplemental Security Income Children with Severe Hearing Impairments.” Social Security Bulletin. 67 (2). 36. Stapleton, David C., Richard V. Burkhauser, Peiyun She, Robert R. Weathers II, and Gina A. Livermore. “Income Security for Workers: A Stressed Support System in Need of Innovation.” Journal of Disability Policy Studies. 37. Burkhauser, Richard V., Takashi Oshio and Ludmila Rovba. “Winners and Losers over the 1990s Business Cycles in Germany, Great Britain, Japan, and the United States.” Schmollers Jahrbuch: Journal of Applied Social Science. 38. Burkhauser, Richard V. and Joseph J. Sabia. “The Effectiveness of Minimum Wage Increases in Reducing Poverty: Past, Present and Future.” Contemporary Economic Policy. 39. Feng, Shuaizhang, Richard V. Burkhauser and J.S. Butler. “Levels and Long-Term Trends in Earnings Inequality: Overcoming Current Population Survey Censoring Problems Using the GB2 Distribution,” Journal of Business and Economic Statistics, 24 (1) (January 2006): 57-62. 40. Lillard, Dean R. and Richard V. Burkhauser. “Income Inequality and Health: A Cross-Country Analysis” Schmollers Jahrbuch: Journal of Applied Social Science Studies, 125 (1) (2005): 109-118. 41. Burkhauser, Richard V. and Dean R. Lillard. “The Contribution and Potential of Data Harmonization for Cross National Comparative Research,” Journal of Comparative Policy Analysis, 7 (4) (December 2005): 313-330. 42. Burkhauser, Richard V. and Ludmila Rovba. “Income Inequality in the 1990s: Comparing the United States, Great Britain, and Germany.” The Japanese Journal of Social Security Policy, 4, (1) (June 2005): 1-16. 43. Burkhauser, Richard V., Shuaizhang Feng, and Stephen Jenkins. “Using a P90/P10 Ratio to Measure Inequality Trends with the Public Use Current Population Survey: A View from Inside the Census Bureau Vaults.” The Review of Income and Wealth. 44. Burkhauser, Richard V., Philip Giles, Dean R. Lillard, and Johannes Schwarze. “Until Death Do us Part: An Analysis of the Economic Well-Being of Widows in Four Countries,” Journal of Gerontology, 60B, (5) (September, 2005): S238-S246. 45. Feng, Shuaizhang, Richard V. Burkhauser and J.S. Butler. “Levels and Long-Term Trends in Earnings Inequality: Overcoming Current Population Survey Censoring Problems Using the GB2 Distribution,” Journal of Business and Economic Statistics, 24 (1) (January 2006). 46. Stapleton, David C., Richard V. Burkhauser, Peiyun She, Robert R. Weathers II, and Gina A. Livermore. “Income Security for Workers: A Stressed Support System in Need of Innovation.” Journal of Disability Policy Studies. (on line version published June 10, 2008). 47. Burkhauser, Richard V. Shuaizhang Feng, Jeff Larrimore and Laura Zayatz. “Consistent Cell Means for Topcoded Incomes in the Public Use March CPS (1976-2007).” Journal of Economic and Social Measurement. 48. Burkhauser, Richard V., Takashi Oshio, and Ludmila Rovba. “How the Distribution of After-Tax Income Changed Over the 1990s Business Cycle: A Comparison of the United States, Great Britain, Germany, and Japan.” Journal of Income Distribution, 17 (1) (March, 2008): 87-109. 49. Burkhauser, Richard V. and Kosali I. Simon. “Who Gets What from Employer Pay or Play Mandates?” Risk Management and Insurance Review, 11 (1) (2008): 75-102. 50. Burkhauser, Richard V. and John Cawley. “Beyond BMI: The Value of More Accurate Measures of Fatness and Obesity in Social Science Research.” Journal of Health Economics, 27 (2) (March 2008): 519-529. 51. Feng, Shuaizhang and Richard V. Burkhauser. “Generalized Percentile Ratios as Robust Measures of Labor Earnings Inequality.” International Journal of Data Analysis Techniques and Strategies, 1 (2) (2008): 117-125. Will a $9.50 Federal Minimum Wage Really Help the Working Poor?” Southern Economic Journal. Forthcoming. 53. Burkhauser, Richard V. and Jeff Larrimore. “Using Internal CPS Data to Reevaluate Trends in Labor-Earnings Gaps.” Monthly Labor Review, (August 2009): 3-18. 54. Burkhauser, Richard V., Shuaizhang Feng, and Stephen Jenkins. “Using a P90/P10 Ratio to Measure Inequality Trends with the Public Use Current Population Survey: A View from Inside the Census Bureau Vaults.” The Review of Income and Wealth, 55 (1) (March 2009): 166-185. 55. Burkhauser, Richard V., John Cawley, and Maximilian D. Schmeiser. "The Timing of the Rise in U.S. Obesity Varies With Measure of Fatness." Economics and Human Biology, 7 (2009): 307-318. 56. Burkhauser, Richard V., Jeff Larrimore, and Kosali Simon. “Measuring the Impact of Valuing Health Insurance on Levels and Trends in Inequality and How the Affordable Care Act of 2010 Could Affect Them.” Contemporary Economic Policy, 31 (4): 779-794. 57. Burkhauser, Richard V., Andrew J. Houtenville, and Jennifer Tennant. “Capturing the Elusive Working-Age Population with Disabilities: Reconciling Conflicting Social Success Estimates from the Current Population Survey and American Community Survey.” Journal of Disability Policy Studies (online June 2012). 58. Burkhauser, Richard V., Nicolas Hérault, Stephen Jenkins, and Roger Wilkins. “What Has Been Happening to UK Income Inequality since the Mid-1990s? Answers from Reconciled and Combined Household Survey and Tax Return Data.” February 2016. NBER Working Paper w21991. 59. Burkhauser, Richard V., Nicolas Hérault, Stephen Jenkins, and Roger Wilkins. “Lifting the Veil: The UK’s SPI Adjustment to Income Survey Data and its Effects on Inequality Levels and Trends.” October 2016. 60. Burkhauser, Richard V., Jan-Emmanuel De Neve, and Nattavudh Powdthavee. “Top Incomes and Human Well-being around the World.” January 2016. IZA Discussion Paper, No. 9677. 61. Burkhauser, Richard V., Jeff Larrimore and Sean Lyons. “Measuring Health Insurance Benefits: The Case of People with Disabilities.” Contemporary Economic Policy. 63. Burkhauser, Richard V., Markus Hahn, and Roger Wilkins. “Measuring Top Incomes Using Tax Records Data: A Cautionary Tale from Australia.” Journal of Economic Inequality, 13 (2): 181-205. 64. Larrimore, Jeff, Richard V. Burkhauser, and Philip Armour. 2015. “Accounting for Income Changes over the Great Recession: The Importance of Taxes and Transfers.” National Tax Journal, 68(2): 281-318. 65. Lillard, Dean R., Richard V. Burkhauser, Markus H. Hahn, and Roger Wilkins. 2015. “Does Early-Life Income Inequality Predict Self-Reported Health In Later Life? Evidence From the United States.” Social Science and Medicine, 128 (March): 347-355. 66. Burkhauser, Richard V., T. Lynn Fisher, Andrew J. Houtenville, and Jennifer Tennant. “Is the 2010 Affordable Care Act Minimum Standard to Identify Disability in All National Datasets Good Enough for Policy Purposes?”Journal of Economic and Social Measurement, 39 (2): 217-245. 68. Sabia, Joseph J., Richard V. Burkhauser, and Benjamin Hansen. “When Good Measurement Goes Wrong: New Evidence that New York State’s Minimum Wage Reduced Employment.”Industrial and Labor Relations Review. 70. Burkhauser, Richard V., Markus H. Hahn, Dean R. Lillard, and Roger Wilkins. “Does Income Inequality in Early Childhood Predict Self-Reported Health in Adulthood? A Cross-National Comparison of the United States and Great Britain.” Lorenzo Cappellari, Solomon Polachek and Konstantinos Tatsiramos (eds.) Special Issue on Inequality. Research in Labor Economics. 71. Armour, Philip, Richard V. Burkhauser, and Jeff Larrimore. 2016. “Using the Pareto Distribution to Improve Estimates of Topcoded Earnings.” Economic Inquiry, 54(2) (April): 1263-1273. 72. Sabia, Joseph J., Richard V. Burkhauser, and Benjamin Hansen. 2016. “When Good Measurement Goes Wrong: New Evidence that New York State’s Minimum Wage Reduced Employment.” Industrial and Labor Relations Review, 69(2) (March): 312-319. 73. Burkhauser, Richard V., Matt Hall, Markus Hahn, and Nicole Watson. 2016. “Australia Farewell: Predictors of Emigration in the 2000s.” Population Research and Policy Review. 35(2), 197-215. DOI: 10.1007/s11113-016-9383-3. 74. Burkhauser, Richard V., Markus Hahn, and Roger Wilkins. “Measuring Top Incomes Using Tax Records Data: A Cautionary Tale from Australia.” Journal of Economic Inequality. 75. Armour, Philip, Richard V. Burkhauser, and Jeff Larrimore. 2014. “Levels and Trends in United States Income and Its Distribution: A Crosswalk from Market Income Towards a Comprehensive Haig-Simons Income Measure.” Southern Economic Journal, 81 (2): 271-293. 76. Burkhauser, Richard V. and Jeff Larrimore. “The Top One Percent.” Journal of Economic Perspectives, 28 (1): 245-247. 78. Burkhauser, Richard V. “Another Look at the Economics of Minimum Wage Legislation.” Australian Economic Review, 47 (3): 409-415. 80. Burkhauser, Richard V., Andrew J. Houtenville, and Jennifer Tennant. “Capturing the Elusive Working-Age Population with Disabilities: Reconciling Conflicting Social Success Estimates from the Current Population Survey and American Community Survey.” Journal of Disability Policy Studies, 24 (4): 195-205. (first published online June 5, 2012). 2. Minimum Wages, David Neumark and William L. Wascher. In Industrial and Labor Relations Review, 64 (1) (October 2010): 202-203. Richard V. Burkhauser joined PAM in 1998. In 2012 he began a joint appointment as a Professorial Research Fellow at the Melbourne Institute of Applied Economic and Social Research (University of Melbourne). He spent January through June at the University of Melbourne and July through December at Cornell University through 2015. In 2016 he spent part of the year at the University of Melbourne, part at the LBJ School of Public Affairs at the University of Texas, and part at Cornell. 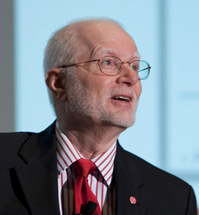 His professional career has focused on how public policies affect the economic behavior and well-being of vulnerable populations, e.g., older persons, people with disabilities, low-skilled workers as well as how levels and trends in income and income inequality have changed in the USA and other countries. He is now at the LBJ School at the University of Texas and will return to Melbourne in March and April 2017. Burkhauser regularly presents his research findings on the consequences of disability policy to Congressional committees, government agencies, and consumer groups. I taught my last ECON 1110 Introduction to MIcroeconomics class in Fall 2015. I taught my last PAM 4460/ECON 3840 Economics of Social Security class in Fall 2015.